Welcome to the July edition of the makeabigdifference newsletter, Young Heroes’ very own fundraising and awareness newsletter. Last month saw Heather Irvine, her team and the Young Heroes fundraising team putting the finishing touches to the eagerly awaited charity ball. Everyone’s commitment and hard work paid off to what has to be one of the best social events of the year. It was a huge success and special thanks must be made to all the individuals and businesses that made it happen. Everyone had a wonderful evening and, most importantly, more than £10,000 was raised for Young Heroes. This is an incredible amount of money; which will pay for approximately 5 respite breaks, later on in the year. 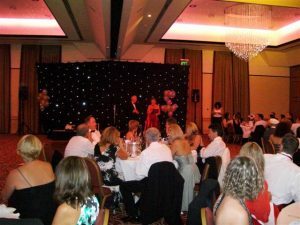 You can read all about the charity ball in this month’s newsletter. In this edition I also talk to some of the young people featured in previous editions and whose stories are on the makeabigdifference website to discuss health updates, exciting career plans, volunteering and much more. Kinds Regards, until next month. 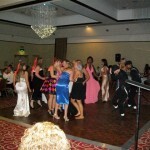 Cedar Court Hotel, Bradford was the place to be on Saturday 27th June for the first ever Young Heroes charity ball. 140 guests donned their Tuxedo’s and glitzy gowns and enjoyed a fantastic evening of fine food, wine, dancing, and fundraising for Young Heroes. The generosity of everyone who attended was incredible, with the event raising well over £10,000 (Young Heroes will be able to reveal the exact sum raised in next month’s newsletter, due to donations still been collected). On arrival, guests were treated to a champagne reception followed by a superb four course dinner including fillet of salmon, chicken and a mouth watering crème brulee, all prepared by the hotels’ top chefs. During and after the meal, entertainment was provided by singing sensation Janet Jaye, who gave a stunning performance of motown and soul classics. 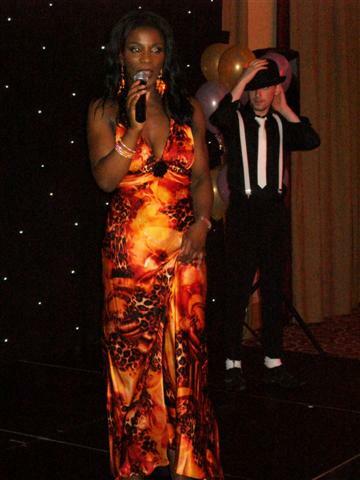 The ex UB40 backing singer, who has over 20 years experience in the entertainment industry had the audience captivated and filled the dance floor with songs by Chaka Khan, Whitney Houston and Aretha Franklin. Another show stopping performance was a young dance troupe, whose street dancing left everyone in complete awe. The fabulous evening of fun and fundraising was boosted by the particularly successful auction, thanks to the generosity of bidders and donors. The auction, hosted by Mr David Ingle of JWP Creers, raised a phenomenal amount of money with some fabulous lots ranging from holidays in Florida and Lanzarote, a helicopter ride, Selfridges Beauty hamper and a Mazda MX5 experience weekend (donated by JCT600). A light-hearted game of heads and tails had the entire room stood on their feet with one lucky winner taking home a divine Paul Smith holdall and a giant Me to You bear, worth around £225. Guests walked away with complimentary goody bags containing an array of luxuries including Young Heroes Me to You bears, beauty products / samples and money off vouchers. A fitting conclusion to a wonderful evening of entertainment and fundraising. Nigel Delaney, founder and chair of Young Heroes said “In the middle of a recession you would expect people to be holding on to every penny but the event raised over £10,000. One extremely generous couple (who wish to remain anonymous) have even pledged to support 1 young person per year, for the duration of their working lives”. He also goes on to say “All of the Impact Young Heroes team are amazed and extremely grateful for the generosity displayed and we extend our gratitude and appreciation to everyone who supported this event. The funds raised will make a big difference to young people who are affected by cancer”. Young Heroes would like to say a big thank you to everyone who supported the event and made the evening the success it was; the guests, companies and individuals who donated money and gifts, volunteers who worked tirelessly behind the scenes and of course Heather Irvine, without whom this event could not have happened. We would like to especially thank: Mary Litchfield, Julie McGrattan, Elizabeth Bradbury, Jane Hernon, Nicola Irvine, Janet Jaye, Carte Blanch, Home and Garden (Frizinghall), Chris Gilliver, Linda Enderberry and David Ingall. In the last month there have been 2 bungee jumps, coffee mornings, musical evenings, ‘one off’ donations and a charity ball (which ‘kicked off’ ‘The Summer Challenge). In the coming months many individuals and groups are getting ready to ‘make a big difference’ in ‘The Summer Challenge’ by organising sponsored walks, skydives, parachute/ bungee jumps, a kickboxing tournament, poetry evenings and coffee mornings. For further information on how you can support Impact Young Heroes, or for information on how to become a fundraising champion; see www.impactliving.org or contact Sharon Brown on 01142 43 18 50. 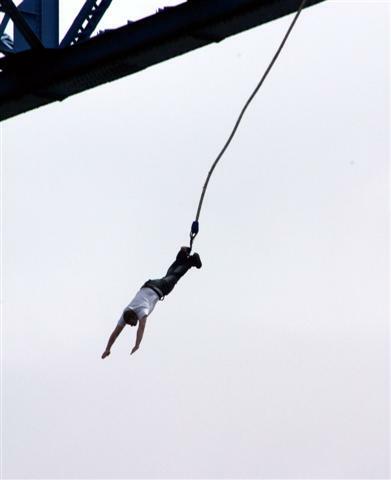 Congratulations to Young Heroes fundraiser Aaron Clark, who successfully completed a bungee jump last Sunday. 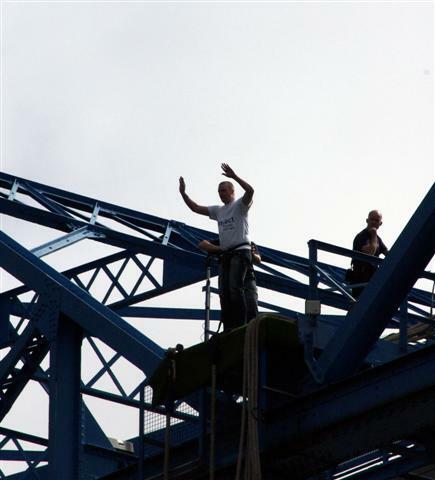 Aaron braved heights of 180ft to dive head-first off Middlesbrough’s iconic Transporter Bridge, the UK’s only bungee bridge to raise as much money as possible for young people with cancer, in the North of England. Aaron, who is originally from Hartlepool said “It was a brilliant experience but absolutely terrifying. It was nerve-racking but I’d say other than jumping off the edge, the worst bit was climbing to the top of the bridge, I was shattered by the time I’d got there”. He goes on to say “Once at the top, I was waiting about 45 minutes which was pretty intense as I watched others do their jumps. When my name was called I made my way to the ledge, feet bound together, trying to avoid slipping due to the rain. 3-2-1 Bungee, I jumped!!! Free falling was a really strange feeling and I believe I yelled a few choice words on the way down” he laughs. So has doing a bungee jump helped Aaron overcome his fear of heights? “No!” he laughs, “but I’m so glad I did it, on a personal level and for Young Heroes”. Well Done Aaron. You can watch the video here and its not to late to sponsor his efforts. Kerry, whose story is featured on the makeabigdifference website, is a beautiful young lady who has shown great determination and courage over the last few years, as she has battled Acute Lymphoblastic Leukaemia (ALL), a fast growing cancer of the white blood cells. Kerry was first diagnosed aged just 14 and spent years undergoing treatment to rid her body of this devastating disease, months of gruelling chemotherapy, radiotherapy and more recently a stem cell transplant. Below Kerry shares her exciting summer plans and reveals why she can finally begin to enjoy life again. From May last year until March this year I suffered from nerve damage in my right foot eventually leaving me unable to walk and was on crutches and then in a wheelchair. Thanks to the pain team and specialists at Christies I have finally got the pain under control and am cutting down on my pain killers and tablets for my foot. Since March, I have come on in leaps and bounds and finally feel to be getting my life back on track. I have certainly been making up for lost time, going out lots and making lots of plans for the summer ahead. I have also met a great guy called Nick and am very happy 🙂 He is so understanding about my past illnesses and supports me through everything. I have recently been having dizzy spells and fainting and shortness of breath in which I am still undergoing tests but we’re not sure what it is yet. I am going on holiday to Kavos mid July with my friends, which I am really looking forward to!! In September I am also going back to Lanzarote with Nick. When I had my respite break to Lanzarote with Young Heroes last year we met the amazing Charlie Dowen who supports Christies and does lots of fundraising. She has an apartment close by to Casa Nissar and has very kindly lent the villa to me and Nick for a week in which we are very much looking forward to it. I feel that after 2 years I’m finally getting back on track and am very happy with life at the moment. After the summer I am hoping to get a voluntary position somewhere and build up towards getting a permanent job although I am unsure what I want to do yet! You can read kerry’s full story here. Dan is certainly no stranger to the makeabigdifference newsletter and we have followed his story since back in January. In the last couple of months however Dan has made some drastic changes including a move across The Pennines and the hope of an exciting new career. I’ve recently started to gain weight again through eating properly, which is good news and already I’m feeling a lot better and happier. On the health front everything is going ok. I had a check up just last week and the doctors are happy with my progress and I have been in remission for about 8 months now; which obviously I’m really happy about but It’s always in the back of my mind that the cancer may come back. I worry a lot about that. I have to go for check ups every 2 months at the moment but as time goes on and everything remains ok, it will get less and less. I moved to Radcliffe in Bury at the end of May, along with my friend Amy who lives’ next door. 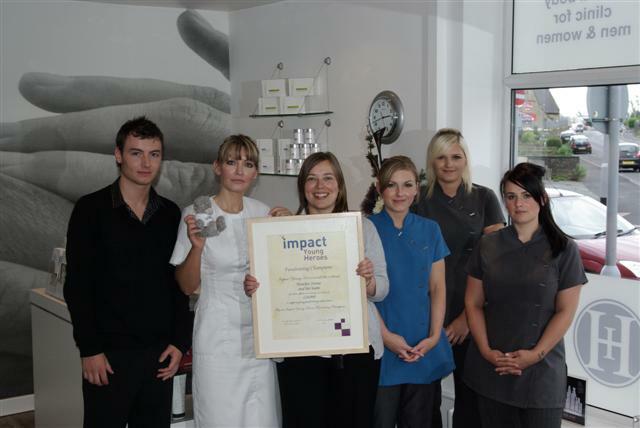 We were the first Impact tenants to move into the flats. I had been living at Purbeck Court when I heard about Impact’s new flats over in Manchester. I really liked the idea of moving here and starting afresh in a new town. I’ve really settled in over here now and am really happy. I have also started seeing someone since I moved here which is going really well. My support worker comes to see me once a week and is just at the other end of the phone if I need her in between which is great. Since moving here I’ve been thinking about jobs and what I want to do. I’d really like to run a pub along with Amy who is also really keen on the idea. It’s totally different to the career that I had planned before the cancer and I know it will be really hard work but I really want to be successful at something. Overall I feel settled and happy at the moment. Young Heroes would like to say thank you to the Peter’s family for their kind gesture of chocolates to thank the charities’ staff for their respite break. Jack (16) along with parents Ged and Tina and sister Emma (11) were the last family of the season to visit Casa Nissar. 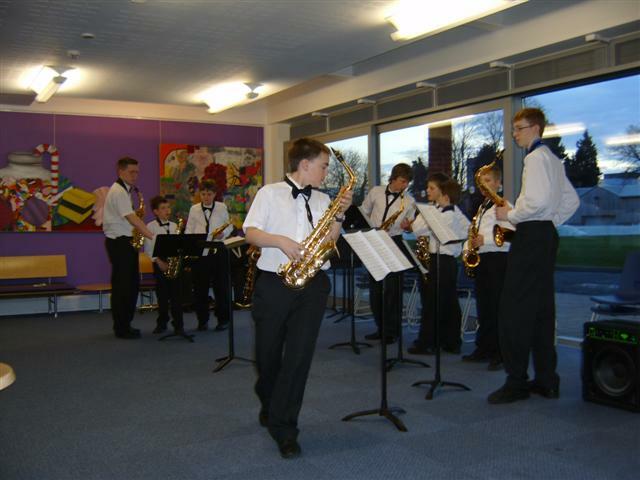 Saxophony Sets Sail in aid of Impact Young Heroes. Young musicians based at Solihull School took to the canals of the West Midlands in June to raise money for Young Heroes. Saxophony, a group of saxophonists and a drummer played two al-fresco concerts at The Navigation Inn and The Black Boy pubs, both in Lapworth. Their stage was a narrow boat aptly named ‘All That Jazz’ belonging to the family of one of the players. The concerts raised £320 on the day and a great time was had by all. Saxophony under the committed leadership of Christa Greswold, their musical director, have raised hundreds of pounds for Young Heroes since adopting the charity last year, for which the charity is very grateful. Dress down days like all good fundraisers are easy and simple to organise and fun to participate in. The point of a dress down day is to have a change in the dress code for a day, or alternatively you can dress up depending on the where the activity is taking place. Dress down days are great activities for work places or schools. Ask for a set donation or minimum donation for the opportunity to take advantage of the dress down or theme day and you’ll find it’s an easy way to raise money for Young Heroes without doing much work or putting people on the spot to donate. If your fundraising efforts are connected to a school, business, or organisation that meets regularly, make this fundraiser an ongoing event and the money will keep piling up. *Always be careful in which theme you decide to adopt for the day. The theme should always be in accord with business and location where the activity will take place. The mode of dress should never interfere with work output nor upset or clash with the image of the hosting organisation or employers. The McCurrie family recently returned after having a Young Heroes respite break in Lanzarote. For Andrew and Stacy along with their 3 children Conor (9) Leah (7) and Cain (3) it was their first time abroad and a much needed break after a difficult couple of years with Andrew’s illness. Speaking from their home town in Manchester, Stacy tells us all about the break, the support the family have received from Young Heroes and why the break helped them as family. “I first heard about Young Heroes off Carol Robinson, Andrew’s social worker at Christie’s hospital. She told us about it and I instantly thought it would be great for us as a family to get away especially after everything Andrew had gone through and for the family to spend time together enjoying ourselves; not to mention that we had always wanted to go abroad. 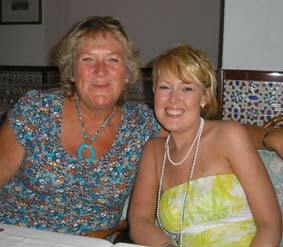 In March 2009 we sent our passports forms off, it was so exciting for us as like I said we had never been abroad and also we were a bit apprehensive as we had never flown before. The support we received both before and during the break was fantastic, Young Heroes staff always kept us up to date with everything that was going on. We all couldn’t wait to meet them. So when the time finally came we were very excited but I was very nervous as well! When we boarded our plane we couldn’t believe we were going aboard at last, the kids were just so excited. When we landed it was 8.20pm in the evening. We collected our luggage and we saw Bev and Rob waving and smiling at us, they are lovely people and they made us feel so welcome. It was about half hour drive maybe more from airport to the villa but it was all worth every minute because the villa was lovely with plenty of room for us all even people with a bigger family. It was great with the pool right outside the front door and the children made friends very quickly with 3 boys across from the villa, they got on really well. The next day we went straight to the beach which was about 10-15 minutes walk away and the weather was really hot. We all loved it on the beach with the clear blue water. The break was nice and we felt like we had not to worry about anything as Bev and Rob were always at hand whenever we needed them. One day we had a lovely drive out to go on the camels which we all enjoyed and one night we even had a barbeque which was great. The break helped us as a family and it felt like we could leave everything behind and just enjoy ourselves, which we did. It was so sad to come home as we enjoyed our break so much not to mention we made friends with Bev and Rob and I felt like I had known them for years. They are really nice people; the children miss them a lot but we do keep in touch. When it was time to board our plane we said our goodbyes to Bev and Rob which was so sad. When we finally got on the plane kids were tired they slept on the way home. I would recommend a Young Heroes break to anybody that has been through what Andrew has; they deserve it and it’s nice as a family to get away from it all. We would like to say a big thank you to Young Heroes for a fantastic break and we would have never done it without you!”. 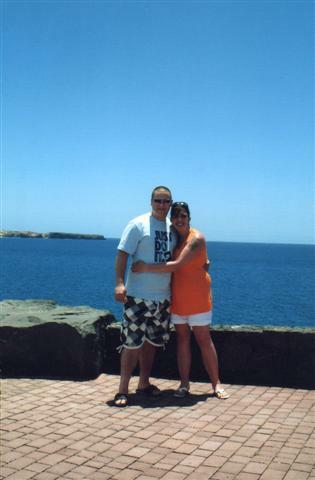 Bev Law, Young Heroes’ Health Support Co-ordinator and her husband, Rob have recently returned from Lanzarote where they provided 5 young people and their carers with 24 hour specialist help and support. 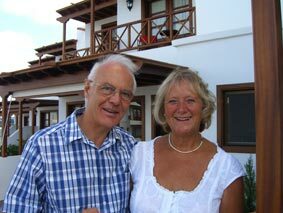 Here Bev talks about their time away and how she is busy planning the next seasons breaks. “Five Young Heroes were given memorable breaks between the middle of April and mid June. We had Young Heroes with their friends, and some with their families. The Young Heroes ages ranged between 16 years and 26 years old. The youngest family member was aged 3. All in all, a good time was enjoyed by each Young Hero, choosing to fulfil their time in Lanzarote, doing whatever they found relaxing. Some cycled, some dived off pedalos into the clear blue ocean, and some enjoyed snorkelling, whilst others chose to relax during the day on the sandy beaches and save their energy to enjoy the nightlife on offer. The weather was generally bright and sunny, becoming much hotter, approximately 30 degrees centigrade some days, as the weeks moved on towards June. Barbeques were the order of the day, with Robert cooking steak, chicken and sausages. One Young Hero, Adam Barrett, achieved his holiday after two previous attempts to come to Lanzarote were foiled by his illness. Third time lucky for Adam, who finally managed to travel and enjoy a much deserved holiday. Here is Adam’s comment; – ‘We can’t really express how fantastic the last week has been for us!’ see more in his testimonial in the previous newsletter. Matt, Sharon and Amie wrote; – ‘This holiday has been an excellent experience. The villa and pools are amazing. Thank you for the holiday of a lifetime’. Connor, three years old and his siblings aged 7 and 9 said they enjoyed the ‘ice-creams’ most of all. A wonderful ice-cream parlour in Playa Blanca serves our Young Heroes to delicious flavoured ice creams, containing only fresh fruit and no artificial additives, proving a hit with all our Young Heroes. I have yet to meet someone who hasn’t enjoyed an ice cream there and gone daily for their treat. Our last guests, the ‘Peters’ family commented that they had experienced the most amazing holiday, allowing them ‘quality’ time as a family, something much needed after Jack’s long illness and numerous operations for Osteosarcoma. Reader’s will see by the personally written Young Hero stories, that a weeks break will restore them physically, emotionally and build their confidence to arrive home feeling refreshed and ready to face whatever lies ahead. This applies not only to the Young Hero, but also for their carer’s, siblings and friends who have stood by them and supported them throughout their darkest hours. Please encourage more people to receive the newsletter, so that they can see for themselves what a memorable break means to the Young Hero and their families and friends. We urgently need more funds to be able to meet the demand that is referred to the Charity.